Last year, Instagram proudly announced that their community has grown to more than 600 million users, and last 100 million users joined over the past six months of 2016. Talk about big numbers! Sure, it seems petite compared to Facebook which, as of the fourth quarter of 2016, has 1,86 billion monthly active users. Moreover, the social network has 1,74 billion mobile MAU and it’s still the most popular social network worldwide. 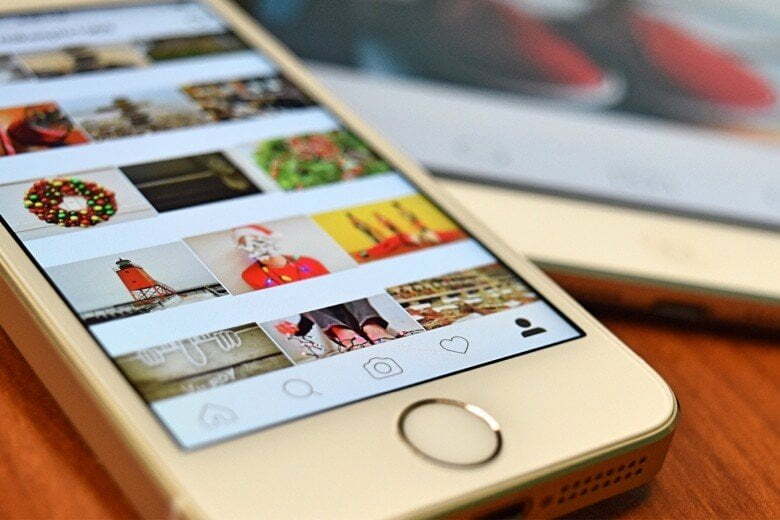 Still, brands that are smart have already been Instagramming for a while now, and those who want to invest long term or are thinking about long-term success, are fully aware that they should be present on Instagram sooner rather than later. Yet, being there, in the wilderness of Instagram, isn’t enough per se. If you really, truly, want to get something out of this photo-sharing social network, then you need to do it properly. Roll up your sleeves and buckle up, because we’re taking you on a ride through marketing strategy for Instagram. Since its first launch in 2010, Instagram quickly became a favorite social network for a lot of people, which is not surprising. Here’s the thing. Everyone’s on Facebook these days. I have it, sure, but my mom has it, my aunt, my cousins… every single person I went to school with has it. That one person I once met in the bathroom of some nightclub has it – everyone. The problem with Facebook is that most people have this feeling they NEED TO accept friend requests from everyone they’ve ever talked to. Before you know it, your feed is full of baby pictures from people you don’t really care about, vacation pictures from acquaintances whose last name you wouldn’t know if you ever saw them somewhere on the street and political rants from your distant relatives who annoyed you ever since you were a kid. Digital marketers love this phrase. It’s been said so many times before that one would think everyone will know by now how to implement it into their strategies, but unfortunately, that’s not the case. A lot of brands realize they should be on Instagram so they set up their profile, post a couple of photos, add a dozen hashtags and then they give up, if within a month, they don’t have thousands of people following them, and social media influencers aren’t showering them with affection or waiting in line to collab with them. That’s not how it works. If you really want to get something out of your Instagram, hire professionals who will come up with thoughtful strategy, who are familiar with your brand identity and who will keep in mind that posting stock photos on Instagram will bring you absolutely nothing. How does that look like in practice? Here’s a great example from Forrester: Red Bull posted a video of a unique snowboarding half-pipe on both Facebook and Instagram. A few days later, they noted that the brand’s 43 million Facebook fans had liked the video just 2,600 times (a 0.006% likes-per-fan rate), while its 1,2 million Instagram followers had liked the video more than 36,000 times (a 3% likes-per-follower rate). The point is: yes, you should definitely and absolutely have a Facebook page if you are a serious business brand in the 21st century, But, if your brand is lacking social engagement on Facebook or Twitter, give Instagram a go. Once again, if you want your followers to engage with your brand, give them quality and relevant content. Don’t just assume that Instagram users will engage simply because you’re on Instagram, posting pictures. If content is king, then the theme of your Instagram is a queen. Or khaleesi, whatever you prefer. Either way, it’s immensely important to emphasize one more time – aesthetics is the key to success on Instagram. Choose your niche and stick to it. Whether you’re posting food photos, fashion items or promoting a certain lifestyle, make sure all your photos have the same “vibe”. Don’t think that showcasing the same editing style will limit you either; just make sure all your photos have the same brightness, saturation, and filters in common. For example, if you choose to go with bright and bold colors, forget about mixing in black & white pictures. Here’s another great example: Katie Gong is an interior designer and artist who uses her Instagram to promote her woodworking business. As you can see, her feed is beautifully composed with simplicity and warm and brown shades with white tones popping out every now and then. All of it together works marvelously, so it’s no surprise Katie managed to get over 14k followers on Instagram. If you don’t really have a niche, but you still want your Instagram feed to look alluring, then use one filter on all of your photos. Forget about brightness, saturation, contrast and other settings. Choose one filter you like the most and then add it to every picture you post. You can play with the amount of filter you want on your pictures. somewhere you might want to add full 100%, yet on other photos you’ll add just 20% of the filter. That way, your feed will seem more cohesive and put together. Do you know the song: Sometimes he would change the key, but the same dull melody would emerge from Mister Monotony? Anyway, that’s one more thing you need to think about when planning your feed and posting pictures. Make sure it’s not monotonous. That’s one of the trickiest cases for you to solve: figuring out how to make an individual photo look great next to all of your other previously posted photos. Here’s a little tip that helped me a lot: a preview of your feed using other apps. For example, for my personal Instagram, I use VSCO app for picture editing which also allows me to see how this one particular picture blends in with others I’ve previously uploaded and published. VSCO isn’t the only app that allows you that. The Latter app is another great example you can use which, aside from previewing your feed, is also quite handy for scheduling your pictures on Instagram. Unless you are completely dedicated to one niche, make sure you’re not posting two pictures of the same thing next to each other. For example, let’s say you are a small business owner who produces organic food and wants to achieve better brand awareness through Instagram. Posting pictures of organic food on your feed is great, but be aware it’s not a good practice to publish two pictures showcasing red apples next to each other. Instead, space out these two pictures by either one or three photos, never two. Why, you might ask? Well, that way you’re preventing having two apple photos on top of each other in a column. Instagram always makes sure that they are improving the experience for their users. A lot has changed since the first-time Instagram was launched. In the beginning, you could only post photos that were square sized because they were inspired by polaroid pictures. Then, with time, we, the users, were given the opportunity to post different dimensions of photos, both vertical and horizontal. Next thing you know, videos came and we were finally able to share short videos with our followers. Then Snapchat happened and millennials started to embrace it. So Instagram copied their feature of posts that disappear after 24 hours. That’s how Instagram Stories were born. Last big thing we got were galleries of photos where you’re allowed to publish up to 10 photos and/or videos that look like a slideshow on your feed. Basically, there’s a lot to take in, keep an eye out, so it’s really important to stay informed. Treat your Instagram feed like an extension of your brand. That way you’ll care about what’s going on there, what your followers are saying if they are engaging or there is something you could work on to improve. Remember: Instagram is supposed to be fun – both for you and your followers. Account Manager at Kontra. Dog lover, foodie and Harry Potter fan for life. Vanity Metrics: How To Measure Social Media Metrics Effectively?